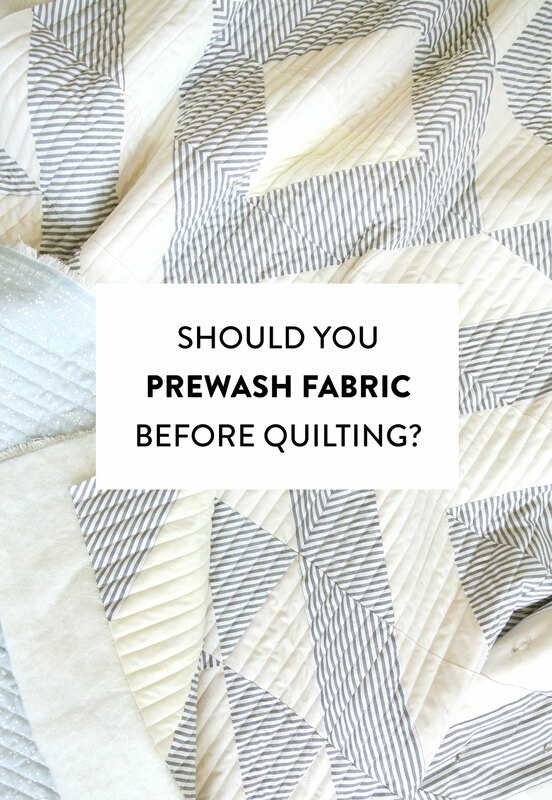 Thus began my inner debate – to prewash or not to prewash fabric before quilting? Prewashing does more than just fluff up your fabric. One of the most important things washing your fabric can prevent is the dreaded bleed. For those who have never experienced a bleeding quilt, thank the sewing gods for your good fortune. However, all of those who HAVE watched in horror as navy dye seeps into a once cream fabric, raise your hand. You, my friends, don’t need me to tell you that pre-washing fabric can prevent vibrant dyes from spreading onto other fabric. Reds, purples, and dark blues are the usual suspects. In my case, it was a fabulous navy with beautiful metallic gold dots. I hate that fabric now. It is my enemy. Retayne: sets dye into fabric. Retayne PREVENTS fabric dye bleeding by locking dye into fabric. DO NOT use it if you are experiencing a fabric bleed situation. I keep a bottle of Retayne in my laundry room and pour some into every prewash that includes highly saturated color fabric. Synthrapol: releases dye from fabric. Knowing that, I don't think I need to warn you not to dump this into your washing machine when washing a quilt....cause you know that, right? 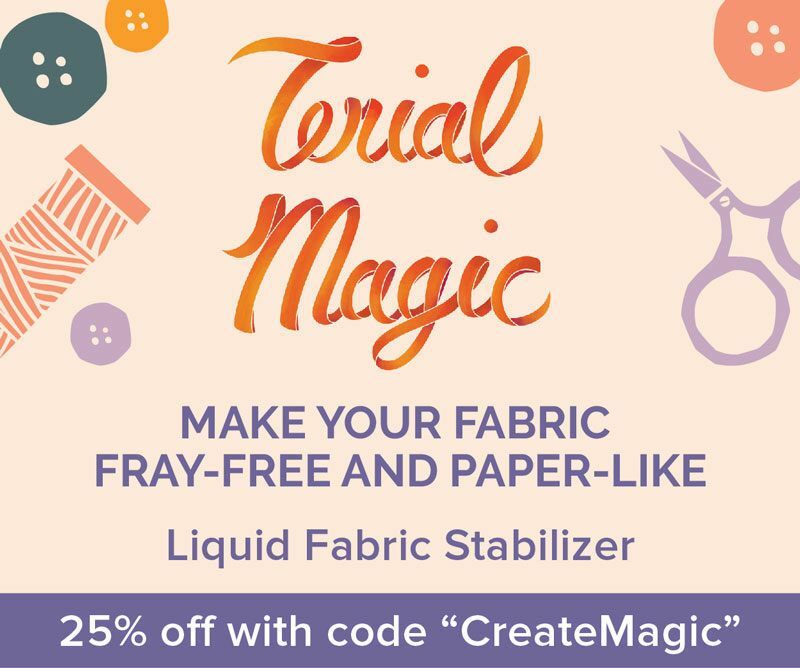 Use Synthrapol when either dyeing your own fabric or working to get naughty fabric from bleeding. Read more about fixing fabric bleeds here. 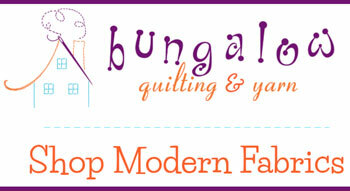 Get tips on sewing with different substrates! Sensitive skin anyone? If you have a propensity for itchy, irritated skin, you may want to consider jumping into the prewash camp. By washing your freshly purchased fabric before sewing with it, you are removing any sizing (more on this later) or chemicals acquired during its life in a factory. 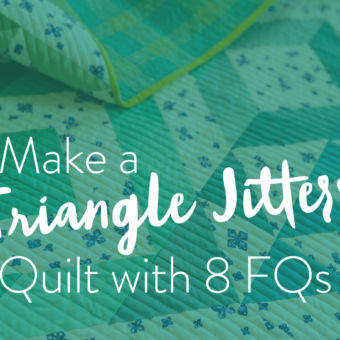 The quilt featured in this post is the Triangle Jitters quilt pattern. Download it here! Also sometimes you forget! Also sometimes you are running home from the fabric shop because it is imperative that you begin cutting into that fabric you just purchased immediately. Like world-endingly imperative that not a second is lost! What I’m saying is, sometimes life gets busy and you just want to quilt. For those of us who are not great at planning ahead (raising my hand), prewashing feels like the step we forget to take until it’s too late. Because once that rotary cutter is in hand, no prewashing will occur. We actually like some of them. As mentioned previously, sizing finds its way onto fabric fresh from the factory. Sizing is similar to starch in that it adds crispness to the fabric and reduces wrinkles. 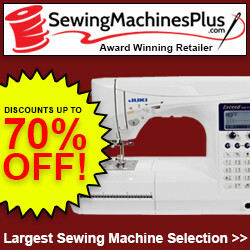 This added stiffness makes it easier to cut and sew. Oh, hello again. Fancy seeing you here. Where my crinkle-peeps at?? If you love the look of a fluffy, puffy, puckery, cozy, cuddly quilt, then prewashing fabric before quilting is not for you. Fabric is going to shrink after that first wash, so if it’s now part of a quilt, it will slightly pull at that stitching – giving your quilt maximum crinkleage. And that’s a word. Just don’t look it up. Whether or not you prewash fabric before quilting, at some point you will need to wash your finished quilt. 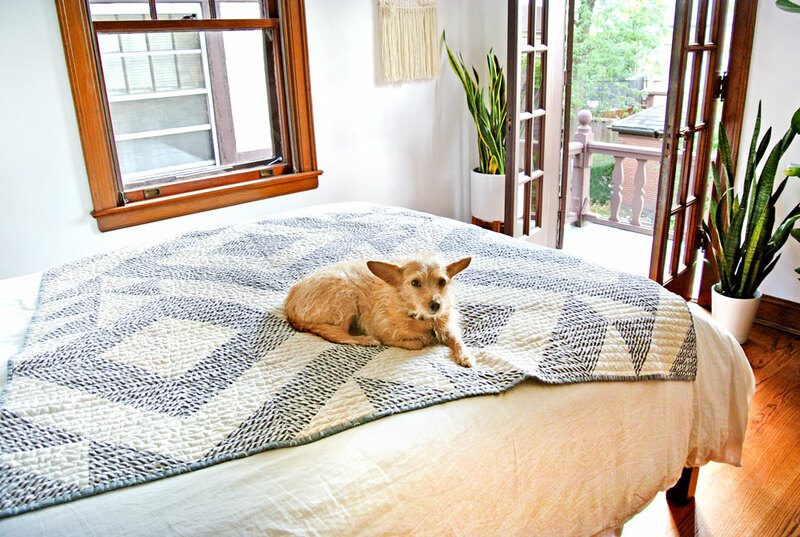 Check out this post on washing, drying, and caring for your quilts so they last and stay nice as long as possible. By “pre-cut” I mean anything the size of a Fat Quarter*fat or smaller. Those little cuties are small enough that their raw edges may unravel a lot. So much unraveling can occur that it no longer fits the requirements for a Fat Quarter quilt pattern. 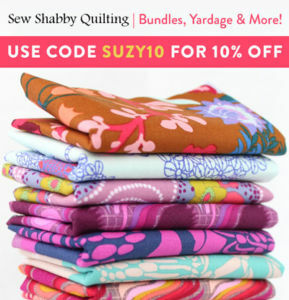 *Fat Quarters are quarter-yard cuts of fabric cut wide (hence the name fat). Rather than a classic long and narrow quarter, which would be 9" x 42", an FQ is approximately 18" x 21". 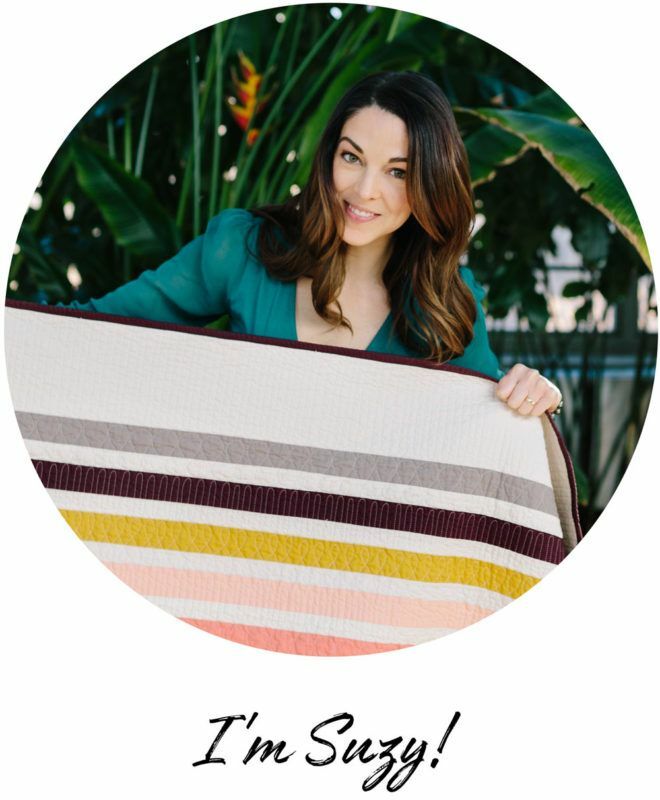 If you are looking for a cute FQ-friendly quilt pattern, check out Stars Hollow! Color Catchers Can Save Your Life. Whether or not you pre-wash or don’t pre-wash, it’s not a bad idea to throw a Color Catching sheet into the wash with your quilt – especially if your quilt includes saturated colors. A nervous giggle always escapes my mouth when I see how much dye those catchers collect. You can find these in the laundry detergent aisle. Now go forth and prewash! Or don’t. It’s totally up to you. As you can see, Scrappy is impartial. 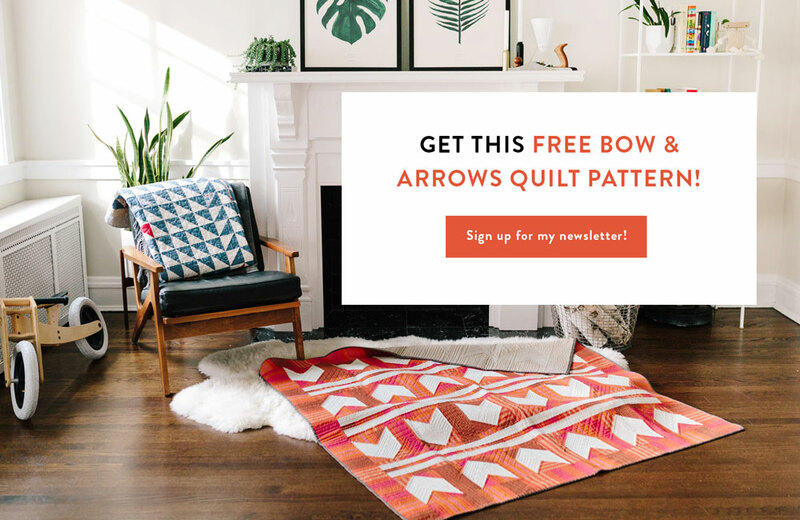 I love getting to see this Jitters quilt in your posts. Thanks for sharing! 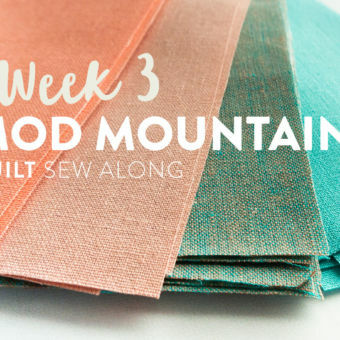 I’ve been shopping for fabric to make a quilt with your Reverse Sawtooth tutorial. I sew clothes and toys for my son, but I’ve never made a quilt before. I’ll plan to send you a photo or two if it turns out! That’s a great quilt to make and a lot of fun picking out the fat quarters! Good luck! Once I started using precuts I stopped prewashing so all my fabric would be the same when the quilt was washed. I always wash a quilt with colour catcher before I gift it. Me too! I ALWAYS wash a quilt with color catchers before gifting!! 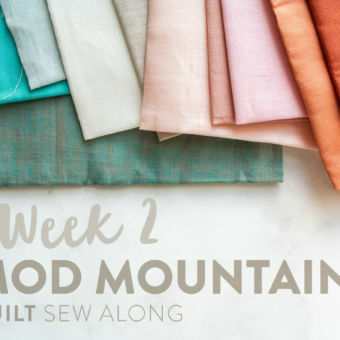 I’m brand new at this (just a few months) but am obsessed and must have fabric for my next project before I finish one…(I’m trying to tame that). Anyway, one note about prewashing: I read that if you are using a flannel backing that it should be prewashed as it shrinks different than the regular cotton, so I am NOT prewashing my quilt fronts and I AM prewashing my flannel backs and have been happy so far, although I have not used a lot of very dark or bright colors yet. 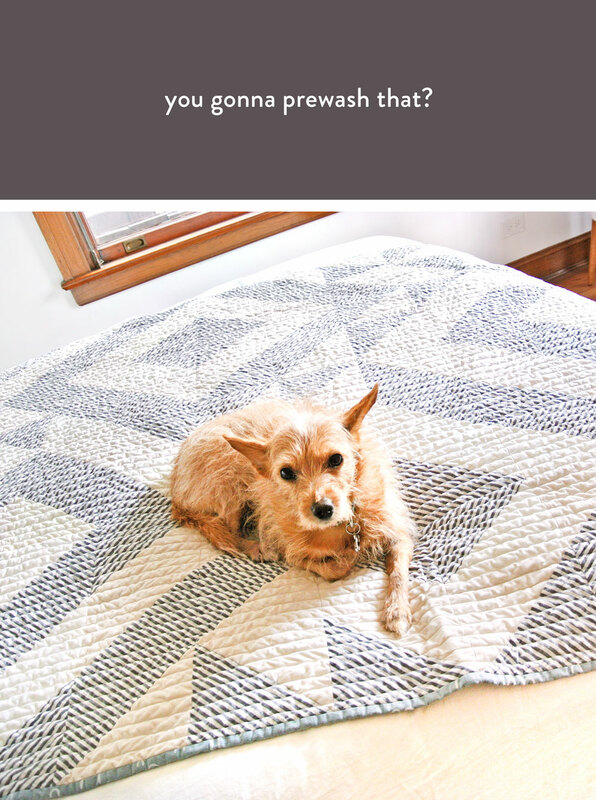 Thanks for your tips…Side note: I use your binding video every time I finish a quilt (starting with baby quilts here) and cannot live without it…works perfect every time! 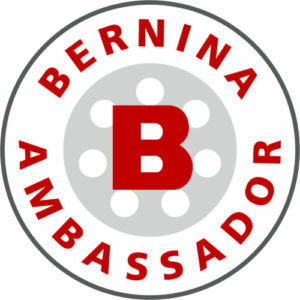 Thanks for your continued help! a FQ. though I can generally tell the difference, I also mark on the selvedge if washed. I wash every quilt when done and always use color catchers. Prewasher over here! After a handsewed and handquilted black/white/red quilt came out of my washingmachine PINK😱😱 although I put a gazillion colourcatchers in the machine..(and I really hate pink, haven t got a single piece of pink fabric in my stash!) I was horrified! I made another red/white quilt ( again by hand), prewashed all the fabrics and……I never washed it out of fear of another disaster. Better a bit dusty and a little dirty than PINK!! I’m in the never prewash camp. 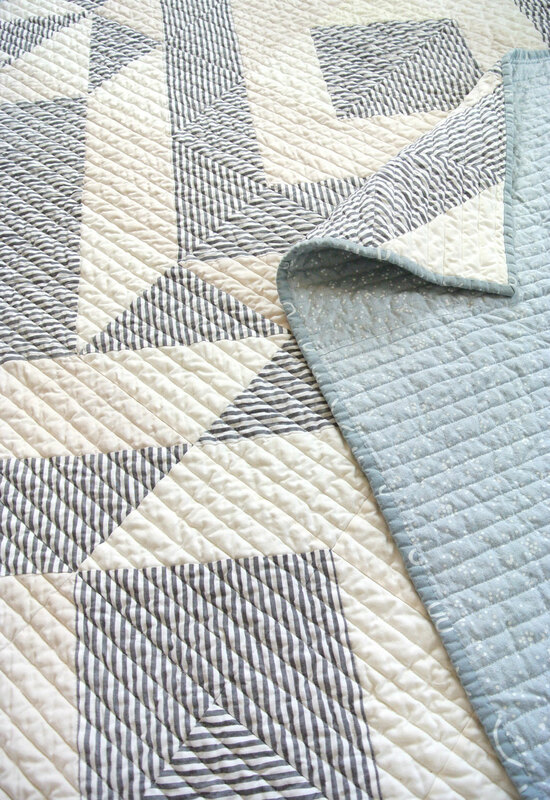 For two reasons, first I prefer to cut and sew non washed fabric and secondly I like the crinkly look of quilts. Thank you for showing us the quilt comparison. I’m normally of the “no prewash” camp unless I my quilt sandwich layers have considerably different shrinkage factors. 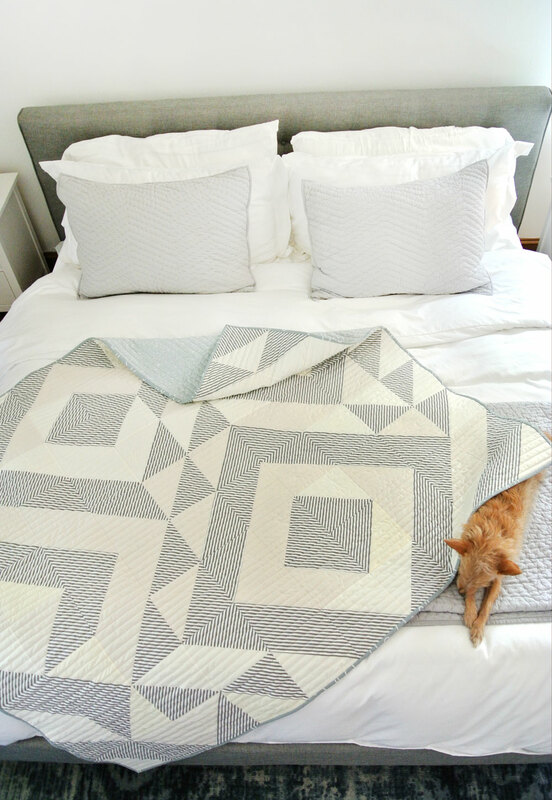 Where could I find the patern of this quilt in tne pictures? What if you didn’t prewash the fabric. You completed the quilt top. Then gently washed the quilt top by gently swishing around in a bathtub. Suppose you would have to press it…….don’t know. Then have it quilted. How would that work? Would I end up with one fine mess? Oh no you’ll be just fine. 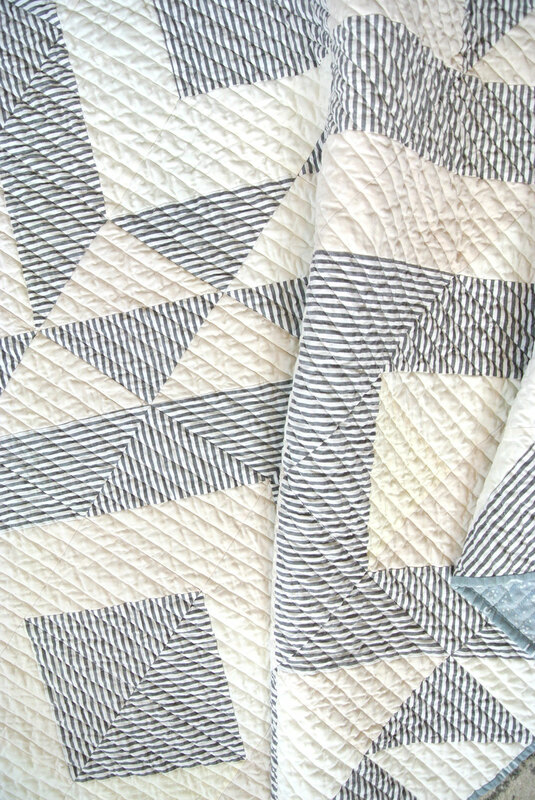 I didn’t prewash any of the fabric used in the Triangle Jitters quilt shown in the pictures, and the only thing that happened is it crinkled up and looks more antique. If you are using dark colored fabric, though, I highly recommend using a couple color catcher sheets when washing the quilt for the first time. I am in the ALWAYS pre-wash camp mainly because I started out pre-washing and now I can’t stop. Also I am sensitive to the chemicals on new fabric. Itchy hands are no fun. I keep thinking someone is going to give me money. (My grandma told me that one. ) So sad when it never works! I think that’s the safest way to quilt. I’ve worked with a couple fabrics that have smelled pretty weird and made my hands itch. I have started pre-washing for ONE reason. 3 days before my niece got married, I finished her quilt-butter yellow with black. A curved log cabin. Yeah, red center blocks. Yellow faded, black & red faded-into the yellow. Oh, and did I mention streaks fo black & red into the now faded yellow?! No gift went with me. The next quilt I made. The happy couple was prewashed (and finished in record time!). Sometimes I forget to prewash (gotta start that quilt), but I cringe when I start. I wash everything before using or even wearing. 2. I’m allergic to everything and need to wash fabrics in my super-duper fragrance-free environmentally friendly stuff. 3. I tend to use really dark colors and have been known to repurpose fabric from other sources. 4. I can’t remember…there was another. I prewash all fabric with any cotton in it. A long time ago, before my prewashing days, I sewed a bag for myself with fabric straight off the bolt. I used that bag often till it needed to be washed. It shrunk. A shriveled-at-the-seams, wrinkly purse isn’t as sweet as a crinkly quilt and ironing didn’t help. So now I prewash. Plus, I never have to postpone a project because the fabric has to be laundered first, like for clothes or bags. 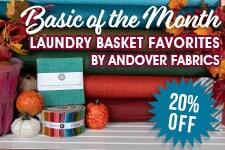 On the other hand, I did wash a Fat Quarter bundle once and regretted it. As you said, it was for a quilt designed to be cut from FQs, and many pieces shrunk too much. I had to get creative with that one. Thanks for the post! A good read, to be sure! Great point about prewashing before making a bag. That would be so disappointing to have all of that work shriveled up! Look carefully at seersucker. I wash it before using. I am new to quilting and am excited to make your weekend candy quilt as a baby gift for my sister. 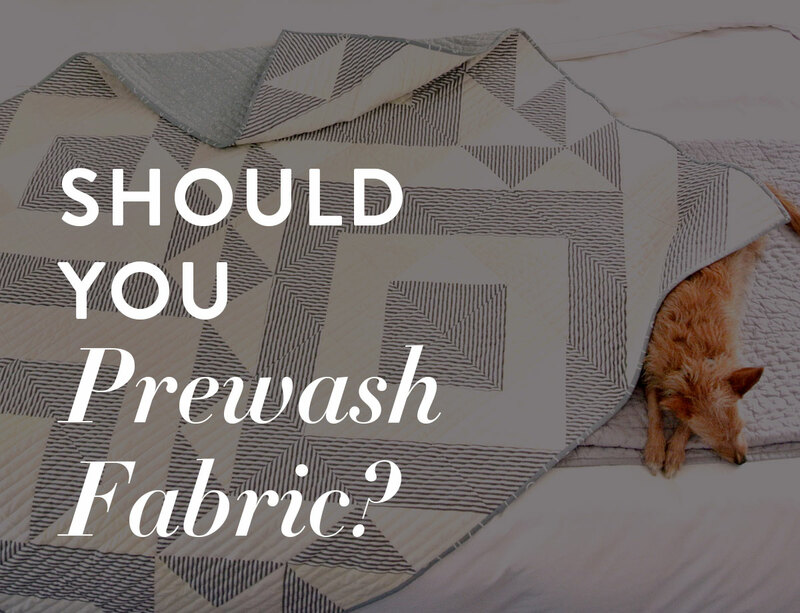 Should I prewash the 1/4 yard fabrics before starting? I thought I could at least wash the larger backing fabric. Thanks! Greet question! If you prewash a cut that small, I recommend trimming around the edges with pinking shears so you don’t lose precious fabric to fraying. I am a Pre Washer, however I have learned that if I wash my fabric in cold water on the delicate cycle with just a splash of baby laundry detergent (optional) there is very little fraying. Also I do wash my darks separate from my lights so this helps to stop the bleeding of colors. I do something similar. Sort lights from darks, and among the darks, reds/oranges from blues/greens. I use a *minimal* amount of mild laundry soap, cold or warm water depending on how I feel that day, and a short wash cycle. On my washer there is a “rapid” cycle. Next I dry to completion in the dryer, followed by a quick press using my steam iron. I prewash because I like high contrast and tend to include highly saturated colors in my quilts. I had a finished quilt ruined by colors bleeding. You only need to have that happen once to turn you into a prewasher! Even though I did prewash, I had another awful experience with a set of beautiful hand dyed fat quarters. I was able to reduce the bleeding, using color catchers in a subsequent washing. 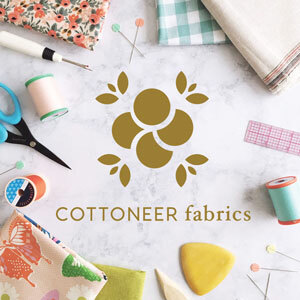 I’m wondering about a set of linen fat quarters that I have… Elsewhere on your blog you recommend prewashing linen because of the shrinkage, but here you suggest that prewashing fat quarters can result in too much shrinkage for patterns (which I’m worried will be the case with my fabric!). What would you do in this case? Thank you! Great question! In this situation, I’d say it’s up to you. Linen will shrink up a lot so if you don’t prewash, it will get veeery crinkled as a quilt. If you do prewash, sew a basting stitch (that’s a long straight stitch) around the edges of each fat quarter so you don’t lose inches due to fraying in the wash.
i don’t pre wash and actually found a quilt pattern where they don’t want you to pre wash as the sizing is important for the cutting. The quilt is a One Block Wonder. I pre-wash fat quarters too, but nothing smaller. I pretty much really only soak them in hot water; not a lot of agitation. Also, if you make tiny little 1/8″ snips along the cut edges they don’t ravel (but it’s a real pain). I have used pre-cuts and am always terrified that all colors will break loose when it’s washed for the first time. I just gave a quilt as a wedding gift with white background and all sorts of blues in HSTs; I included a zip baggie full of color catchers, but I’m still concerned about what will happen when they wash it. Does Retayne work forever? I mean, if you add it when you pre-wash, is the dye permanently locked, or does it need to be repeated after a while? It’s my understanding that Retayne is permanent, however, most dyes will fade with repeated washing. First off, 3 of my 4 quilts I have made were your patterns, so thanks for that =). Next, I have a question for you: I have prewashed all my fabric, assuming that it would eliminate the crinkly look, but nope, it didn’t (I’ve only washed one of the quilts, so I can’t say what the others will do). Perhaps I needed to pre-shrink the batting? I don’t love the look, so I was a bit disappointed =/. Oh bummer! I’m sorry about that. Let’s run through the list – you prewashed your backing and your top fabric. Check. If you purchased batting from a major batting company, it was most likely preshrunk, but you might want to go ahead and check anyway. Did you use cotton thread? Sometimes even your thread can shrink, so if you hate the crinkled look, switch to poly thread. If you checked all those boxed, the last thing you may want to do is prewash all of your fabric in hot water so that it shrinks to the max pre piecing. Hi. Ididnt prewash my layer cakes. The quilt top, is done should I now wash top and bottom, before it goes to the quilter? No, I would suggest waiting to wash your quilt until it’s completely finished and bound. What is your feeling on mixing prewashed and unwashed fabrics in one quilt? I was always a prewasher (because that is what they always told you to do about 15 years ago) but now have started not prewashing with some of my newer fabrics and of course, precuts. 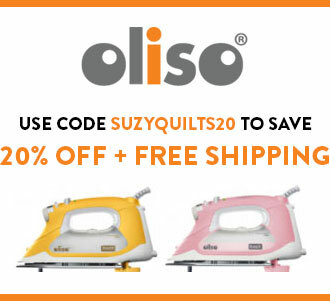 Can I mix prewashed and unwashed fabrics in one quilt? When I wash the finished quilt for the first time, will it make the quilt wonky. Thinking of trying to experiment on a scrappy quilty to see what happens. Great question! 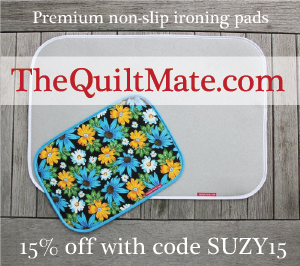 I don’t think it will make your quilt look noticeably wonky. What you may notice is that the fabrics that were not prewashed crinkle more underneath the quilting than the prewashed fabric. This will be subtle, and maybe only you will notice. 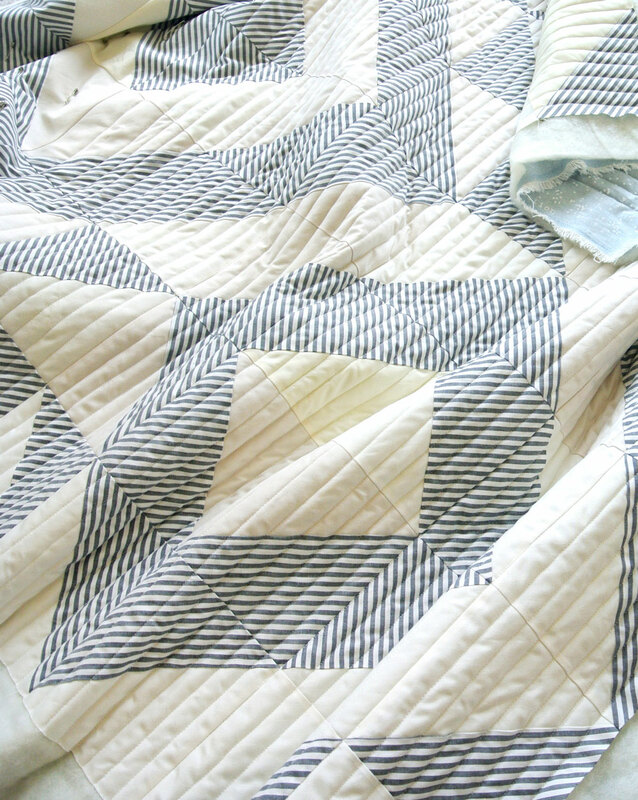 You could do some mixing in a mini quilt and see how that looks after washing. Pre-wash camp here. In addition to all the good reasons discussed here, I have allergy problems if I use a steam whilst ironing un-pre-washed fabric. The sizing and finishing chemicals dissolve into the steam and waft right up my nose. A headache is sure to ensue. Yuck! I have a flannel jelly roll that I am debating on whether to pre-wash or not. I have never worked with flannel before, so I am concerned about washing such small pieces. Everything I see says wash flannels, but not pre-cuts. I could wash in a lingerie bag if that would work. Any thoughts? As much as flannel does shrink, and 90% of the time you should prewash, a flannel jelly roll definitely falls into the 10% of times you “don’t prewash.” I think even on delicate you will end up with a frayed-out mess. Better to sew with it as is and accept that it will crinkle and pucker a bit once the quilt is finished and washed. But quilt crinkles ain’t a bad thing! These are all great comments and I really enjoyed reading the ‘pros’ and ‘cons’. I have a bit of a different situation. I live in South America and all those convenient products that you mention are not available here (color catchers, Synthrapol). Does anyone have any suggestions about either pre-washing or post-washing fabrics to retain the colors? Thanks! If you have some dark fabric that looks like it might bleed, I bet you could prewash with Dawn detergent OR just prewash with regular detergent twice. The first time in the wash throw a piece of white muslin in with the fabric. If the muslin comes out a different color, you know you’ll need to prewash again. I’ve heard a lot of people say that washing with vinegar and salt will do the same thing. It’s supposed to lock in color. That’s definitely worth a shot! I have some hand-dyed, dark blue fabric that I am putting into a wall hanging. Probably never going to get washed. I’m thinking of not pre-washing any of the fabric going into that quilt. I always prewash, but this feels like a rabbit hole, because when I pre-wash really saturated batiks or hand dyes, it is an event. Days of hot water and rinsing until water runs clear. I am so not in the mood, although the fabrics for this are fat quarters and not yardage. If it’s a wall hanging, I wouldn’t worry about it either. You’ll probably only ever spot clean a wall hanging, so I doubt you’ll run into bleeding.